With more snow forecast there for Wednesday, they'll run up the score. Doing weather for all of Maine is fascinating because there’s always something to talk about. Case in point: Aroostook County has been slammed with snowfall this month. In Caribou, 47.3 inches of snow so far since January 1 crushes the monthly record of 44.5 inches, set in 1994. 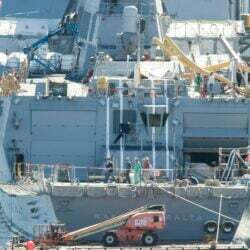 Records go back to 1939. Van Buren has picked up over 52 inches of snow so far this month. Clearly, the snow pack is big and dense in northern Maine. 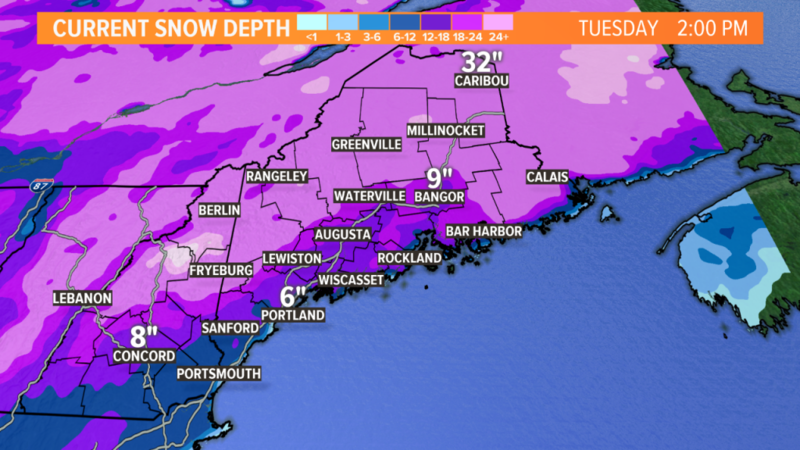 Thirty-two inches was observed on the ground in Caribou on Monday, compared to a much smaller 9 inches in Bangor and 6 inches in Portland. The season as a whole has been very snowy in northern Maine. 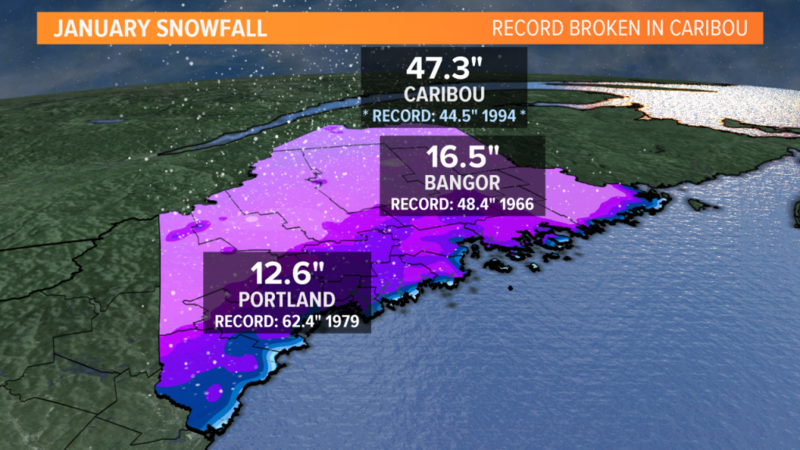 To date, Caribou has registered nearly double its average snowfall of 52 inches. Central and southern Maine have seen considerably less snow so far this month, and certainly is nowhere near the records. 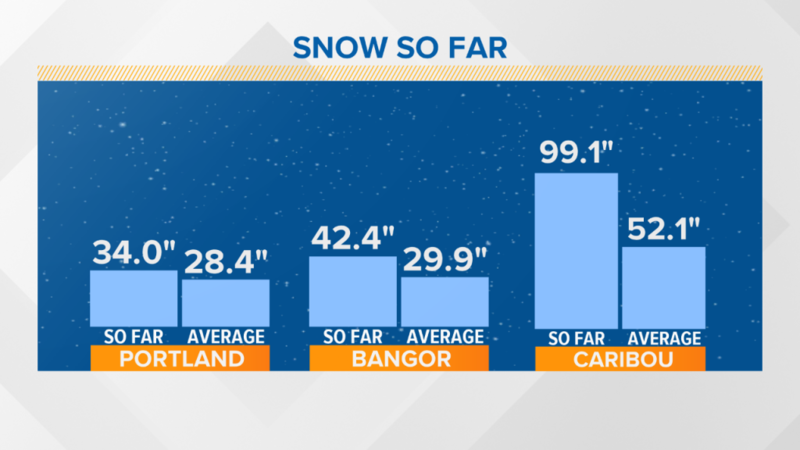 Average January snowfall is around 19 inches in both Portland and Bangor; both cities are below that. 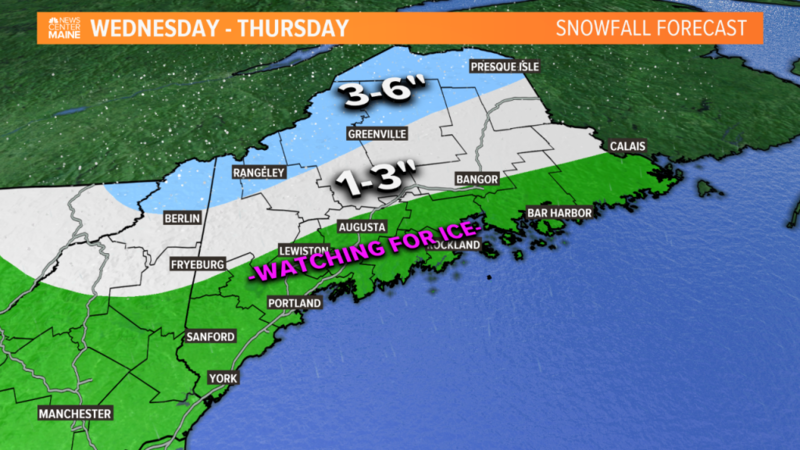 It looks like Caribou will keep running up the score, with the potential for another 3 to 6 inches of snow Wednesday into Thursday, while most of the state sees a mix changing to rain.